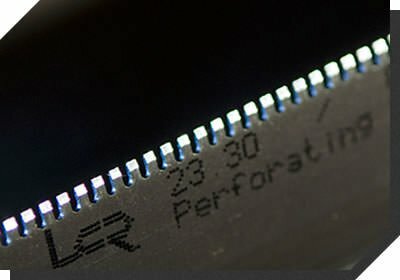 Die Cutting Rule can come in a variety of shapes and can be suited to a wide variety of applications such as cutting, creasing or perforating. As die makers ourselves we understand that a forme will only be as good and durable as the components used so we only stock rule that meets our high standards of quality. 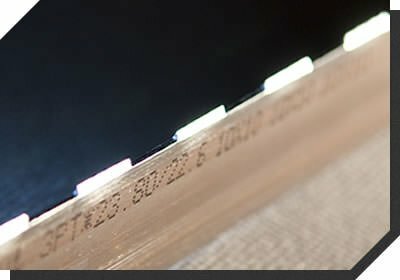 Contact us today to learn more about our range of die cutting rule and how they can help you. 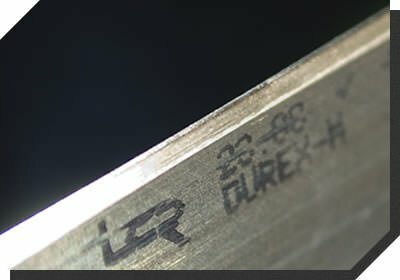 Durex Series LCR flat cutting rule made by KS Blades. DUREX Series is the most commonly used rule with its ideal combination of hardness and flexibility 52˚ edge is standard . 42˚ angle requires less cutting pressure, gives a longer cutting life and reduces silvers and dust. Decarbonization provides good bendability. 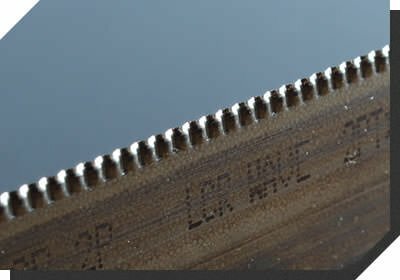 It is edge hardened from 52Rc to 62Rc to increase rule life. Available with shaved or ground edges up to 50mm(1.968″) high in all edge configurations All DUREX series are designed for using with automated bending equipment(Rull processor) It’s multi purpose cutting Rule used for cardboard, corrugated plastic, thin gaskets, foils, puzzles etc. Very good bendability, Has outstanding flexibility and durability. It's suitable for automatic bending machinery and bends to an angle of 130. Used for: Cardboard, corrugated board, labels, post cards and much more. Forme cutting rule is available in lengths, boxes or rolls and can also be ordered pre-bent and cut to a design. Contact us today to make an order or learn more. 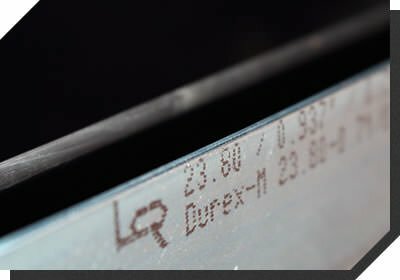 VLCR DUREX-M rule has the excellent bending properties with the long service life of an extra hard cutting edge. Resists extra impact. 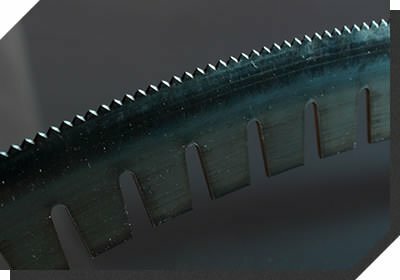 For cutting hard plastics and other difficult materials. Used for: Plastic, thin gaskets, foils, puzzles and more. 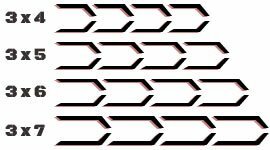 Has identical, fully round edges, top and bottom. Also available with squared bottom by special order. Available in any combination of gullet, and tooth , in either point or metric. Tooth (in) 1/50" to 1.0"
Gullets (ties)(in) 1/50" to 1/2"
Available in any combination of cut-crease, lengths and heights. Available in a large range of popular pitches including special pitches produced to customer’s specific requirements. Note: The cutting edge is waved with a straight back. 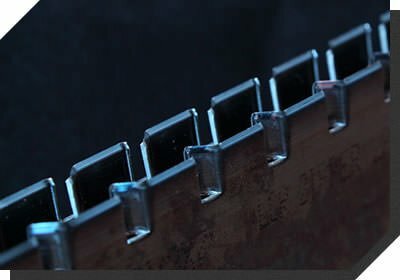 LCR steel zipper cutting rule made by KS Blades. Perfect for creating easy to open packaging on a range of materials such as corrugated board. Avilable in coils and strips. Height (in) 1.0" 0.937" ~ 1.03"
Martin O’Brien Formes is the exclusive distributor of Kyung Sung Blade’s range of die cutting rule in Australia. 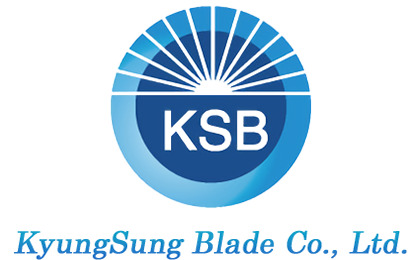 You can learn more about Kyung Sung Blade on their website.